While the SCOM Reporting implementation provides a great set of reports out of the box, there are a number of custom reports which I have found useful to develop. 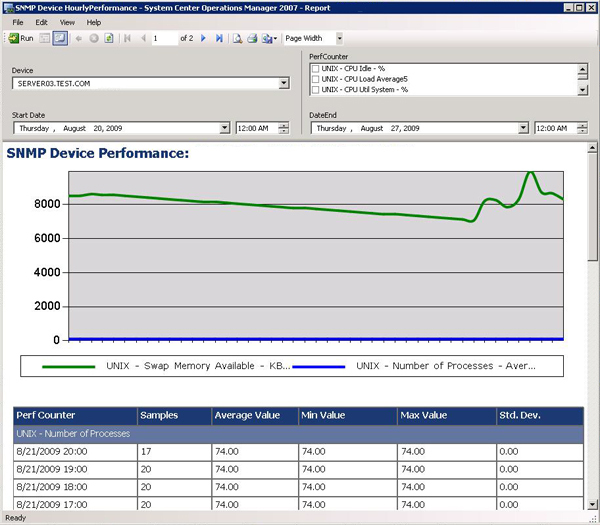 The report described here is one to report on aggregated hourly performance counters collected on SNMP Network Devices. I had previously written a post about using customization of SCOM’s resolution states to generate an additional notification, on-demand, in order to send the event to a helpdesk software system. Another resolution state customization that I have found useful facilitates the opposite effect, preventing notifications. 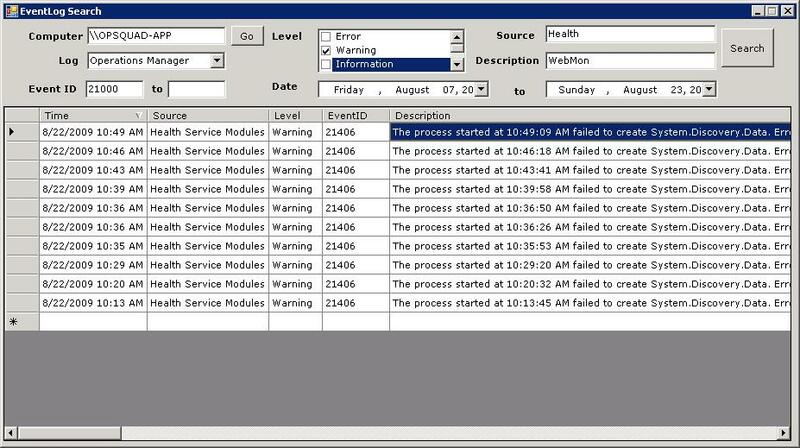 Unlike those generated by monitors, alerts generated by rules in System Center Operations Manager are not linked to an object’s health state, and are not closed automatically. Rather, they must be closed manually (in the console or with a script) or deleted after a set period of time (database grooming). While it is typically desirable for notifications to be generated when alerts generated by monitors are closed, as an indication of the conditions resolution, this is not usually desirable for alerts generated by rules, as the notification would just indicate that an operator closed the alert. This is particularly true if operators are not managing the console 24/7. 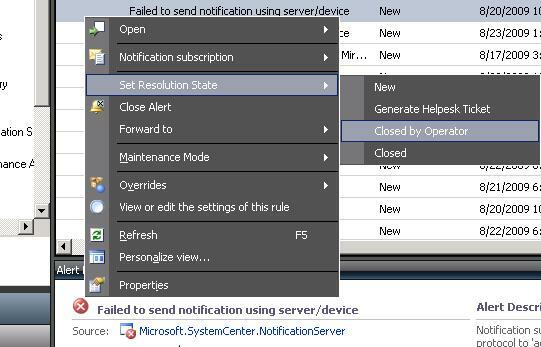 If notification subscriptions are scoped to classes or groups (and not individual rules/monitors), an easy way that I have found to prevent notifications when rule-generated alerts are closed is by adding a custom resolution state with the name: “Closed by Operator” and a value such as 254 and then modifying the Open alert views in the Operations Console to filter on resolution status less than 254 (instead of “not equal to 255”). This has the effect of logically assigning two potential closed states for alerts, the system default Closed state of 255 and the “Closed by Operator” state of 254. In the Operations Console, operators can right click an alert, choose Set Notification State and choose “Closed by Operator,” clearing the alert from the open alert views, and not generating a notification. The monitors are rolled-up into an aggregate monitor used for alerting for each Request class. 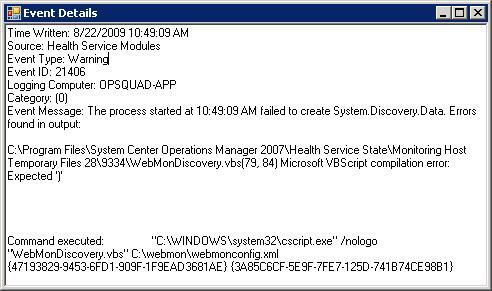 A set of views are also created under the Web Application folder in the Monitoring section of the SCOM console. These include state views for the Watcher Nodes, two Request classes, and a performance view displaying the historical response time for all requests. The advantage of this management pack over the SCOM the Web Application monitoring implementation for basic web monitoring is that it can be rapidly deployed and configured by simply editing the XML configuration file. Access the Authoring section of the Opeartions Manager console, click the Change Scope link and limit the scope to WebMon Watcher Node. If the webmonconfig.xml file is deployed to a non-default location, override the script arguments and update the first parameter (c:\webmon\webmonconfig.xml) to reflect the actual script location. The default interval for the object discovery is 15 minutes. If this needs to be changes, edit the properties of the WebMon Discovery object, and adjust the schedule accordingly. If any sites are to be monitored with NTLM/Integrated authentication, a RunAs Profile must be configured. Create a new RunAs account to be used by the watcher node, or determine an existing account to use. In the Administration section of the Operations Manager console, click RunAs Profiles. Edit the properties of the WebMon Request RunAs Profile. All configurable elements of the WebMon URL Monitoring Management Pack can be set in the webmonconfig.xml on the Watcher Node. Multiple requests can be defined in the configuration file by adding another <request/> element. The discovery script performs some basic validation, but the XML configuration should be edited carefully in order to prevent inadvertent errors due to invalid configuration. For both the WebMon Request and WebMon Secure Request classes, aggregate monitors are configured to generate alerts if any of the monitors trigger a warning or error health state. Health states can be viewed in the Monitoring section of the Operations Manager Console, under the Web Application\WebMon URL Monitoring folder. The views include state views for the WebMon Watcher Node, WebMon Request, and WebMon Secure Request classes as well as a view to display the collected response time data for all of the URL requests. 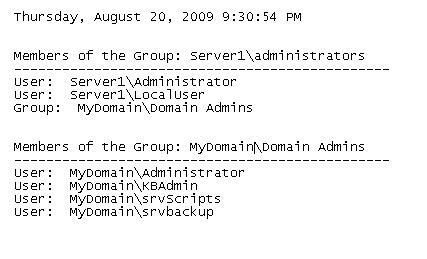 While overrides on the individual monitors can be configured, configuration should be performed in the webmonconfig.xml file. Prior to editing the management pack, please reference the link below to read more about the design of this management pack. Due to some issues with the way the Authoring Console handles MonitorTypes and the use of variables in some configuration elements, all edits should be made in an XML editor.